(10) the certificate of compliance, if required by Rule 32(g)(1). (4) the statement of the standard of review. (c) Reply Brief. The appellant may file a brief in reply to the appellee’s brief. Unless the court permits, no further briefs may be filed. A reply brief must contain a table of contents, with page references, and a table of authorities—cases (alphabetically arranged), statutes, and other authorities—with references to the pages of the reply brief where they are cited. Only clear abbreviations may be used. A party referring to evidence whose admissibility is in controversy must cite the pages of the appendix or of the transcript at which the evidence was identified, offered, and received or rejected. (f) Reproduction of Statutes, Rules, Regulations, etc. If the court’s determination of the issues presented requires the study of statutes, rules, regulations, etc., the relevant parts must be set out in the brief or in an addendum at the end, or may be supplied to the court in pamphlet form. (i) Briefs in a Case Involving Multiple Appellants or Appellees. 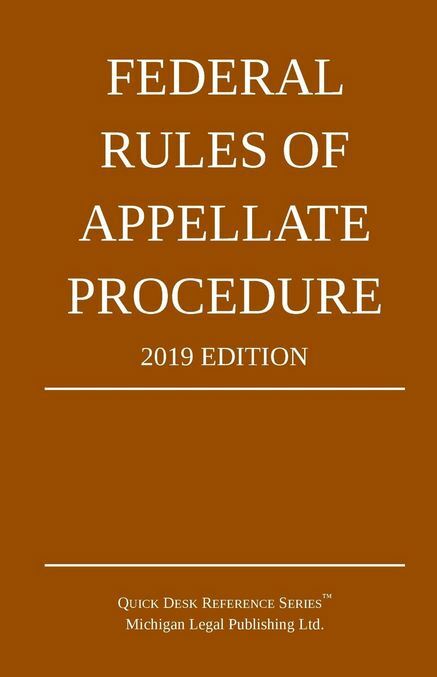 In a case involving more than one appellant or appellee, including consolidated cases, any number of appellants or appellees may join in a brief, and any party may adopt by reference a part of another’s brief. Parties may also join in reply briefs. (j) Citation of Supplemental Authorities. If pertinent and significant authorities come to a party’s attention after the party’s brief has been filed—or after oral argument but before decision—a party may promptly advise the circuit clerk by letter, with a copy to all other parties, setting forth the citations. The letter must state the reasons for the supplemental citations, referring either to the page of the brief or to a point argued orally. The body of the letter must not exceed 350 words. Any response must be made promptly and must be similarly limited.